Jesse earned his BS in Pharmacy from Chapel Hill in 1971. 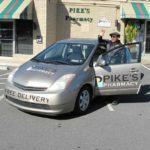 He served as pharmacist consultant and national marketing director for National Data Corporation prior to returning to the family business and opening Pike’s Pharmacy on Shamrock Drive in Charlotte in 1982. 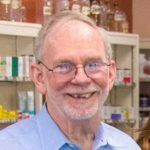 His areas of expertise include diabetes management, immunizations, medication therapy management and Medicare Part D.
When he’s not at the store, Jesse is eating his way around Charlotte and parts beyond with his wife, Elizabeth. When he gets a bit of free time, he can be found checking out all the new techno-gadgets while hiding from his honey-do list! Jennifer graduated from Wingate University School of Pharmacy with her doctorate in pharmacy in 2008. She is an active preceptor for UNC Eshelman School of Pharmacy and was awarded Preceptor of the Year in 2011. Her areas of expertise include geriatrics, geriatric psychiatry, diabetes management, medication therapy management and hypertension management. 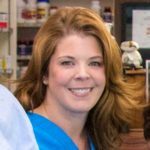 Jennifer is a board certified pharmacotherapy specialist (BCPS) as well as a board certified geriatric pharmacist (BCGP). Jennifer lives with her husband, Steve and their misfit herd of horses in Midland, NC. When they aren’t working, Jennifer and Steve are happy to be making a trip to Cabarrus Creamery in their ’55 Chevy pickup or playing in the dirt. 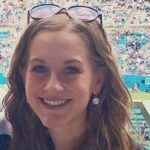 Sarah Miller graduated from the UNC Eshelman School of Pharmacy with her doctorate in pharmacy in 2017. 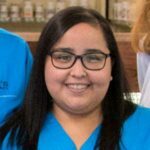 She completed one of her clinical pharmacy rotations at Pike’s and fell in love with its team and customers, so she is thrilled to be able to return as a full-time pharmacist. She has lived in Charlotte since 2000, when she moved from Mississippi with her parents and younger brother. In her free time, Sarah Miller enjoys trying out new restaurants in and around Charlotte, baking sweet treats for her friends and family, and binge-watching TV shows on Netflix. 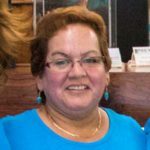 Ana Araguz has been at Pike’s for nearly 7 years. She came to work right out of high school and became a nationally certified pharmacy technician in 2011. Cashiering at Pike’s was her first position but she is now an integral part of the team handling the majority of the work done with our Pike’s Pass Pack robot, Simon. Ana is enrolled at UNCC where she is working toward her bachelor’s degree in Criminal Justice, so, when she’s not at Pike’s she is working on schoolwork. When Ana’s not all wrapped up in some kind of work, she enjoys spending quality time with her 6 year old daughter and fiancée. 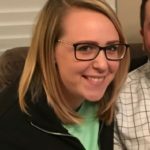 Kelsey is a nationally certified pharmacy technician with 6 years of experience. She moved from New Hampshire to North Carolina to be nearer to her husband’s family and escape the long, snowy winters. She now lives in Concord with her husband and their four Corgis. When she isn’t here at work or busy with her family, she is online studying for her bachelors degree in public health. Jenny is currently a student at CPCC where she is studying to become a dental hygienist. She started in the Pike’s family as a cashier while a junior in high school. 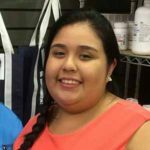 Since graduation, she had the opportunity to study for and become a nationally certified pharmacy technician. Jenny loves working behind the scenes. Elena has been part of the Pike’s family for 18 years in many different roles. Most of you know her as the friendly face at the cash register. Elena has 3 grown sons and lives with her Schnauzer, Baby. Elena keeps the front end running and keeps us all straight as our pharmacy mama. Emory is our delivery guru and Pike’s ambassador. He makes daily deliveries to the neighborhood as well as the facilities that we serve.